exhibit – The Humanities Now! Digital artifacts created from archival documents provide advantages such as preservability, portability, and easy organization and accessibility. Digital artifacts won’t wear down from being analyzed by people because it is just digital image. The physical artifact may get damaged from being handled by many people. Digital artifacts do not take a long time to find. In online databases, a simple search will be enough to find an artifact, whereas physical artifacts may require traveling around the world to find it. As a digital artifact, this is one map, but as a physical artifact, this is actually multiple large sheets of paper that have to be lined up next to each other. When an artifact is digital and in an online database, it is already organized into exhibits and categories and it never becomes unorganized. When someone analyzes many different physical artifacts, they may become very unorganized and difficult to find. The image on the left is a good example of an artifact that would be easier to analyze digitally than physically. Disadvantages of digital artifacts might be that you don’t get to hold it and feel what it feels like. 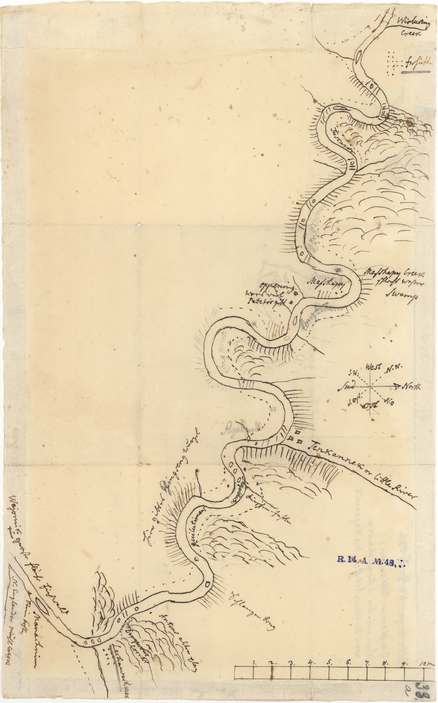 When someone holds a physical artifact, for example an old map, they may feel a sentimental attachment to it because they are holding the same map that certain historical figures held, used, and wrote on in the past. 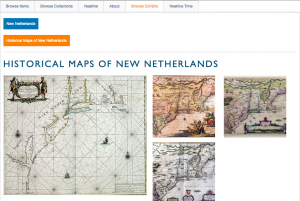 New Netherlands exhibit on Stories of the Susquehanna Omeka website. When making my Omeka Exhibit I found it challenging to find enough information about each individual artifact to write up a description about each one. 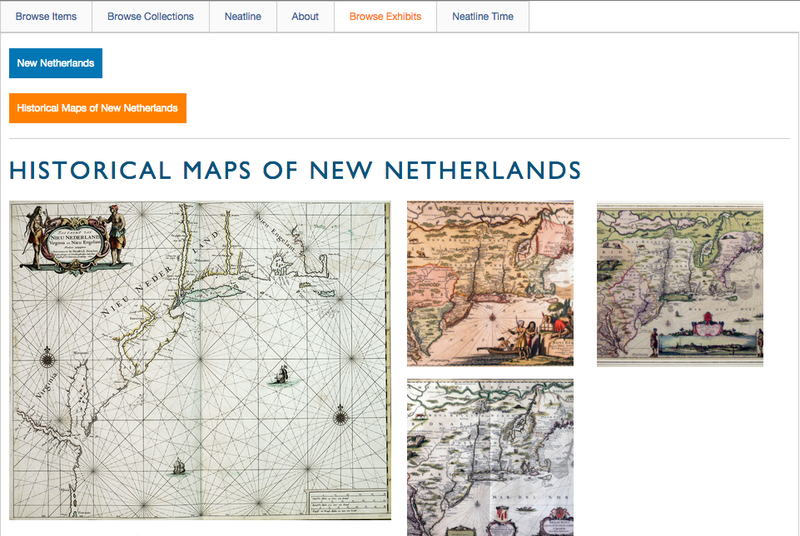 The exhibit I created is called “New Netherlands” and it includes historical maps of the region.